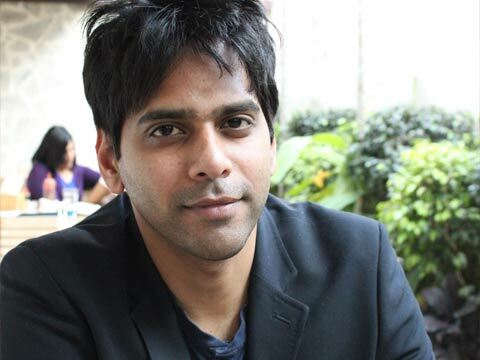 An ardent admirer of GI Joe and He Man as a child, Suhas Sundar, CEO of Indo-Japanese IP company Nihodo Media is the brains behind the brand animated movie series called Fatak Patak. SUndar believes that Indian kids have been grossly overlooked and targeted toylines for them are almost an afterthought. And this is the gap Sundar aims to fill with the integrated toyline of Fatak Patak thereby making it one of the first kids franchise to use toys and gameplay as integral to content in India. In a candid conversation with License India, Sundar spoke about the integrated toy line which is one of its kind for Indian market. He also emphasized on the trend of indianized content that is creating ripples in the industry. – Talk to us about the IP Fatak Patak and the integrated toyline. It primarily started with us wanting to work on our next TV show. We have done two animated movies with Cartoon Network. We were exploring what to do as our next IP and we didn’t want to go down the same path of what we have done earlier or what was on air at that point of time. There is lot of great content of Indian origin; in fact most of the top ranking shows are Indian. We wanted to do something different while following what has been done around the world in terms of the toy line integrated with an animated series or an IP and that was the starting point. We started conceiving the toy line concurrently with the production of the series. This may be something new for the Indian market, but it has been done all around the world. Every time they think of kids’ IP, they think of complete 360 degree experience where the kids play with the toys, watch the show, play games on tablets, consoles etc. that is how we approached this entire IP. – Is Indianized content the new trend of licensing industry? It we look at it, yes that seems to be the trend. If you look at path breakers like Green Gold; what they did with Chhota Bheem was totally unprecedented. Before they did; there was no Indian IP that was licensed and merchandise was rolled at such a vast level. Of course now there are likes of Motu Patlu proliferating in the market. Definitely I do believe that Indian audiences will have much deeper connection to an Indian concept. – So has global content lost its demand in India? It is not that global contents do not work in here; Doraemon is still one of the most undisputed leaders in kids’ entertainment in terms of an IP, but Indian content will always have a connect with audiences for sure. However if you look at the toy line available in the market, everything is based on foreign IPs. Of course you will find a Chhota Bheem IP in the market; but nobody has created a toy line specifically starting from the Indian market which is integrated with the animated series like Beyblade or Pokemon in Japan. In scenario where the kids are aware of what is available globally, we felt that we should create something specifically for them, which we can then take around the world. – How are you going about the marketing of the IP? Initially we are doing a movie series with Hungama channel and Dream Theatre along with their subsidiary Play Planet are doing the marketing and distribution of toys. We will amp up promotions and marketing around festivals. We will take a contest to what is happening in the market and then decide the next course of action with movies, toy line. And once this looks like a series, then we will look at exploring a full licensing program. We already have a card game developed and ready which we might be releasing as next product in market. – How would you define the target audience for this IP? We are looking at 5 to 10 years old kids. Boys will generally gravitate towards this toy line but that doesn’t mean that girls wouldn’t like it. I would say that anyone who has grown up playing with Beyblade or Pokemon, would find all that amalgamated in this toy line. One can connect these characters, battle with them in real time. They actually do battle with each other when you shoot them towards each other. Then there are collectible cards and arena that comes with them, so that one has immersive game play experience along with the whole collectability factor. The toy line has been done by Play Planet that is a subsidiary of Dream Theatre. The toys are manufactured in China and imported by us. – When already a plethora of Indian characters are addressing to this TG, where do you see Fatak Patak fitting in? The space that we have ended up occupying is default space by virtue of IP and there isn’t too much competition. There is no IP that has got such an integrated toy line. Motu Patlu is out and out comedy show and similar is Chhota Bheem. Ours is a comedy action show about kids battling against each other and villains using aliens. The closest fit to our show is Pokemon and Ben 10. We started using collectability factor where character transforms into multiple aliens. The category that Fatak Patak occupies is the one where none of the top 10 shows are in India especially the home grown ones. And none of them have that integrated toy capability. You can’t do a collectible toy action series with the likes of Motu Patlu or Oggy & the cockroaches. Our positioning might be more niche and we are speciaficaly targeting the kids who watch action comedy and love to play with such toys. – How many retail touch points are you present at? The products have been live on Amazon since September 2017. The toys are priced at INR 650 and come with an arena, collectible card and a shooter. We have tried to offer most of the things in one single pack. We are present across almost a thousand retail touch points pan India. Also we are available at a lot of modern retail outlets like Shoppers Stop, Big Bazaar, and we will be available with ToysRUs as well when they launch in India.